Busshozan means 'mountain with living Buddha', and prospered as a temple town. 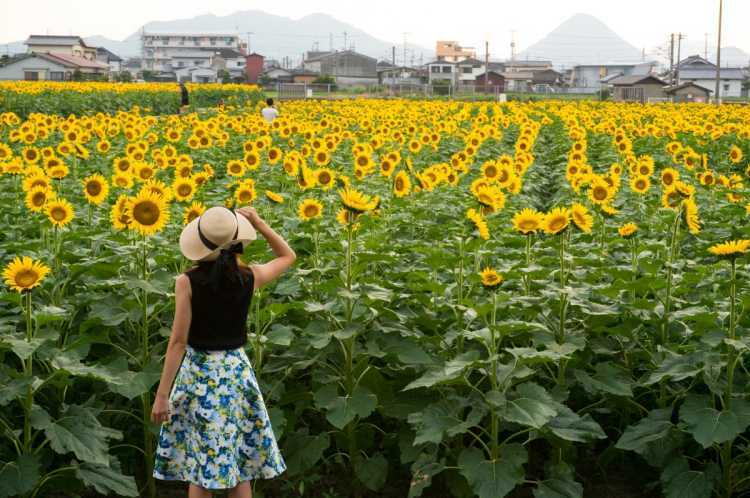 In summer, as many as 55 thousand of sunflowers color the retro town. Though it's hot, it's a best place for 'summer flower viewing' making you refreshed.◎Access: 5min walk to the south from Busshozan Station. The best season is the end of July to the beginning of August. The local train 'Kotoden' runs beside the sunflower field.